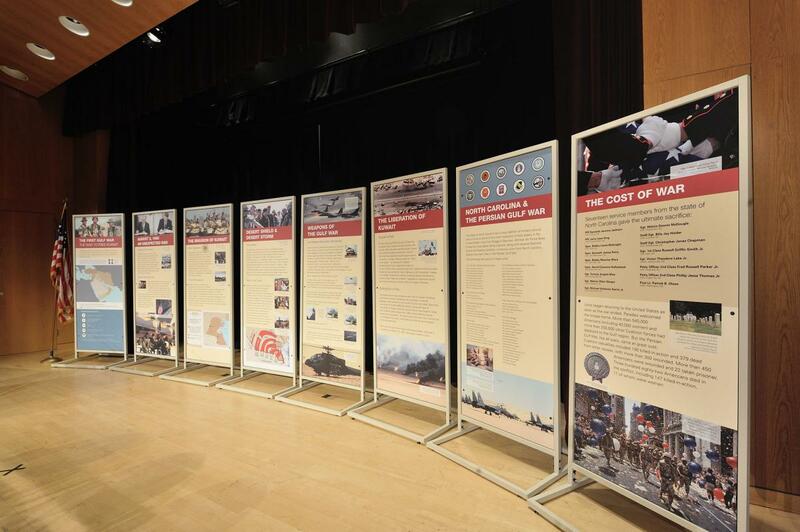 The First Gulf War features eight informational panels, filled with photographs, recounting the conflict that began when dictator Saddam Hussein attacked Kuwait on Aug. 2, 1990. The resulting conflict became known as the Persian Gulf War of 1990-1991, when the United States led the most diverse coalition of nations in recent history in Operations Desert Shield and Desert Storm to oust Iraqi forces that had invaded Kuwait. The First Gulf War highlights Operations Desert Shield and Desert Storm, weapons of the Gulf War, and the liberation of Kuwait. The First Full Gulf War will travel to many Tar Heel sites in a repurposed and customized Chevrolet Suburban from the N.C. Department of Transportation. The vehicle is painted to match the ones used during the liberation of Kuwait. Location stops for the traveling exhibit will be at the N.C. National Guard Joint Forces Headquarters in Raleigh, Fayetteville Technical Community College and many other sites. The N.C. Department of Natural and Cultural Resources and the N.C. Department of Military and Veterans Affairs express our gratitude to the N.C. Persian Gulf War Memorial Commission and the N.C. Desert Storm Memorial Foundation for their instrumental role in the creation of this memorial exhibit. 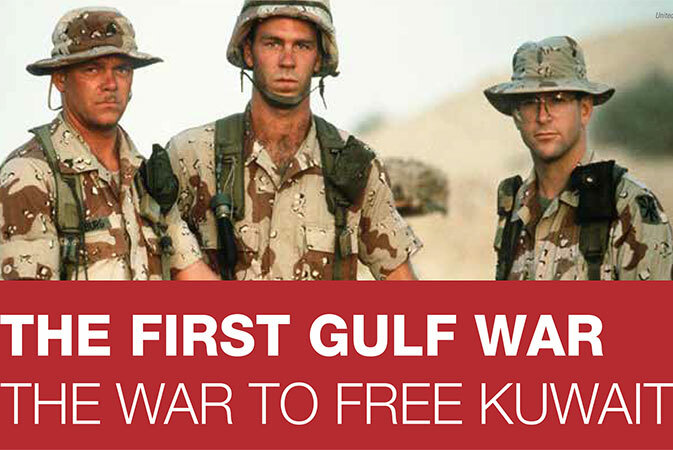 The Government of the State of Kuwait funded the exhibit to honor the 75,000 men and women, and their units, stationed in North Carolina, who served and sacrificed to liberate Kuwait.